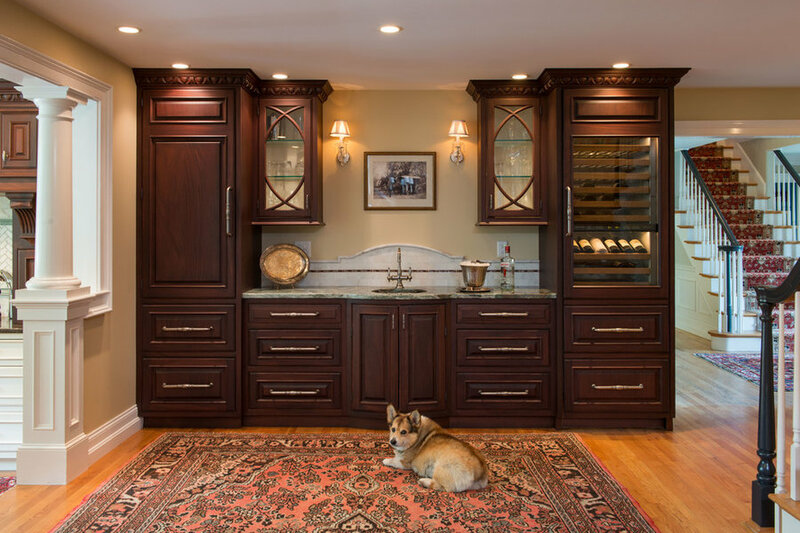 This stunning home is family and pet friendly. 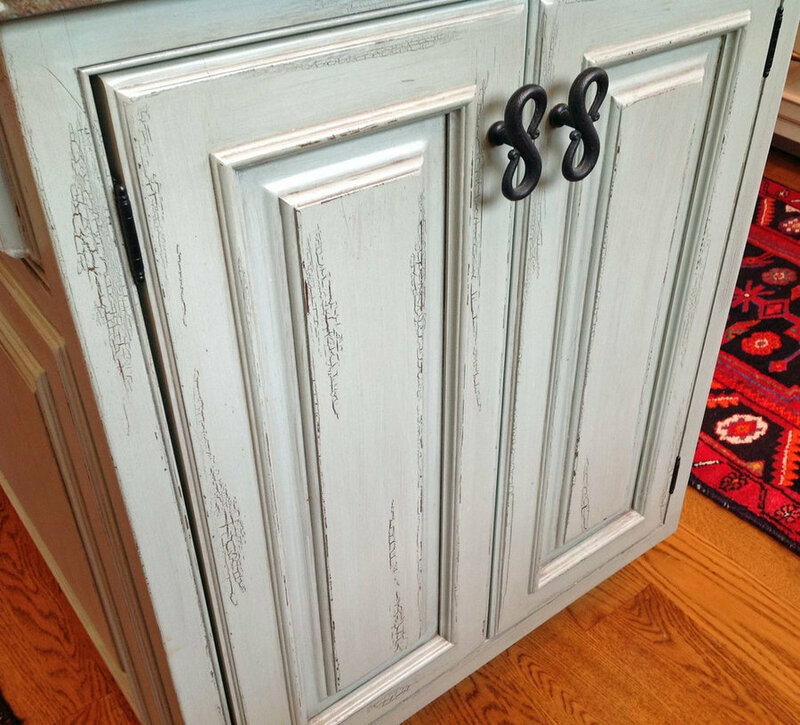 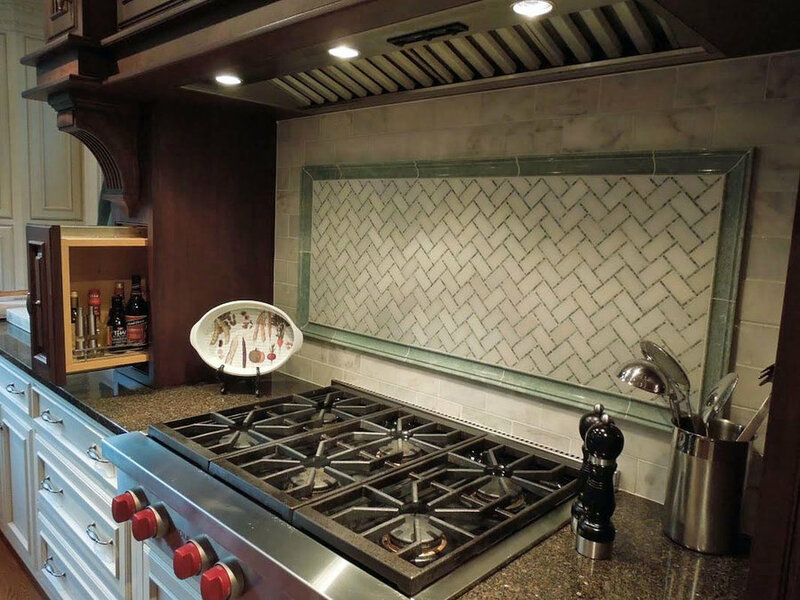 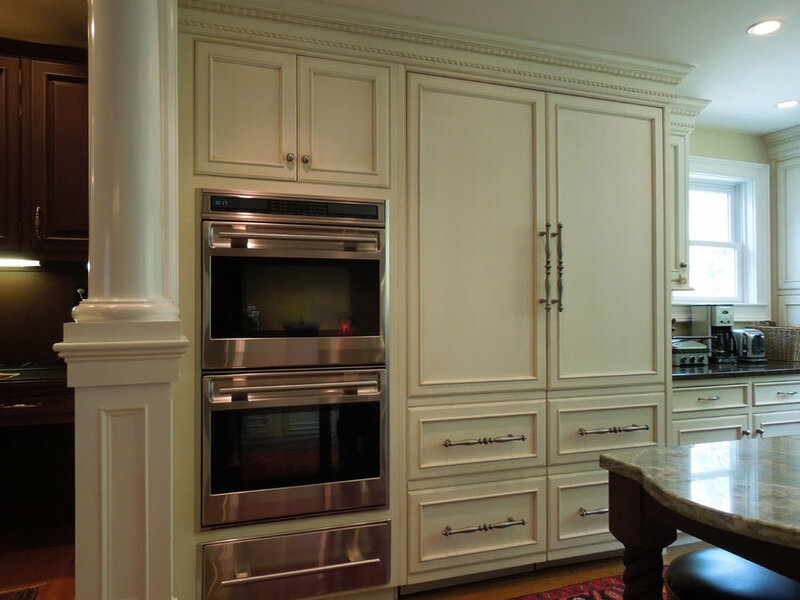 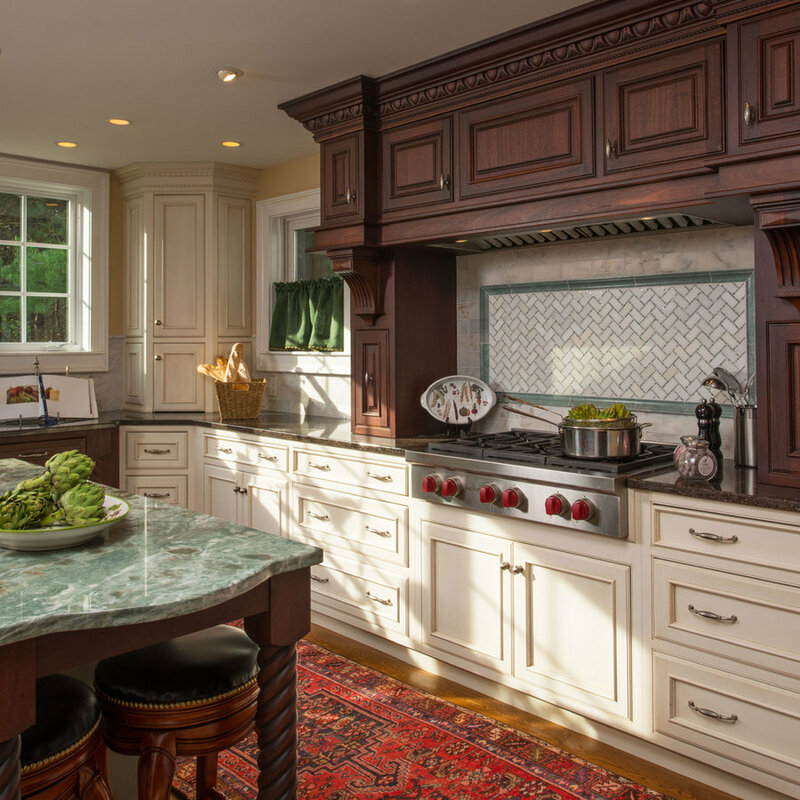 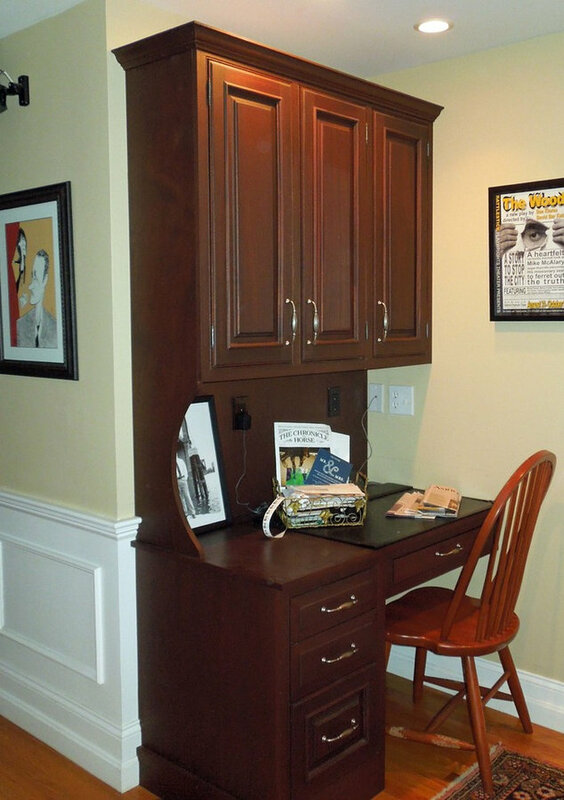 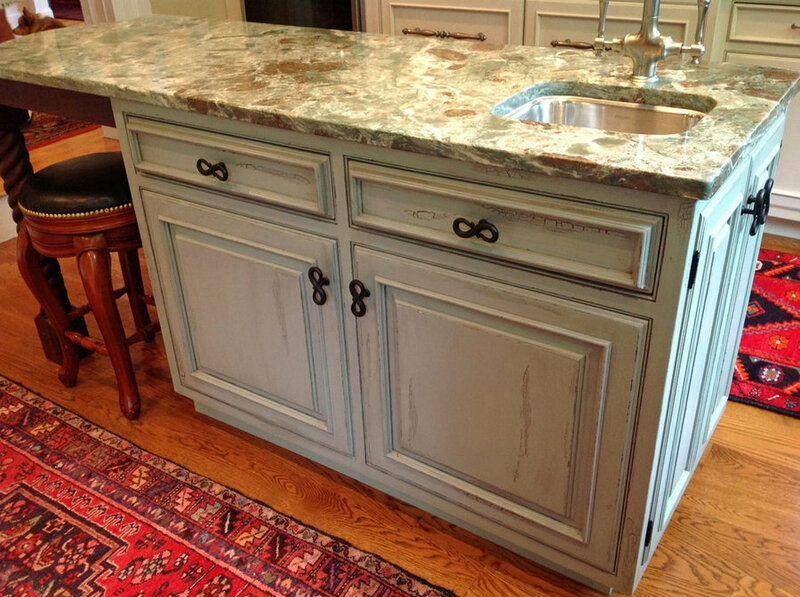 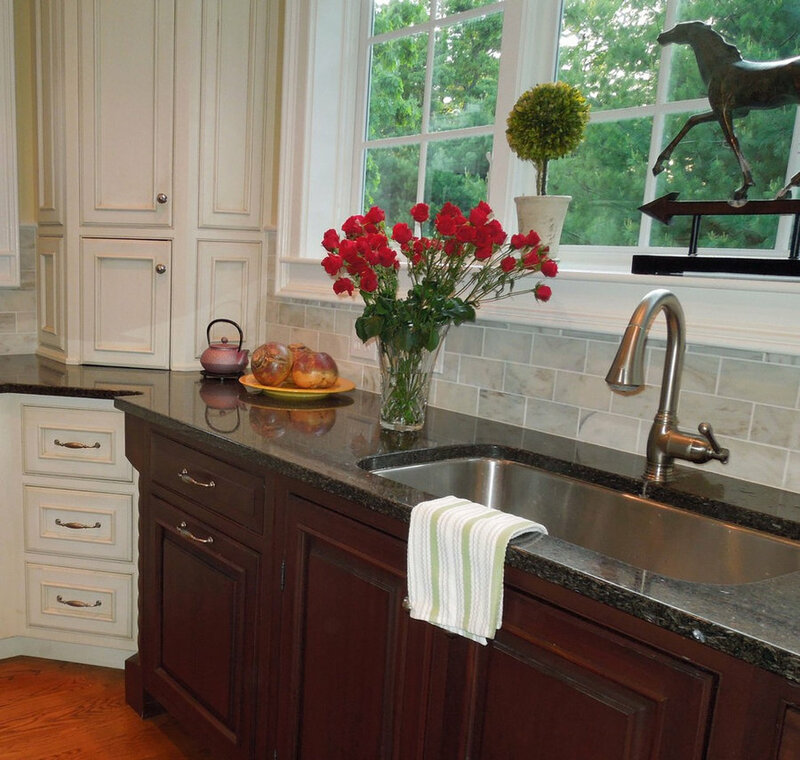 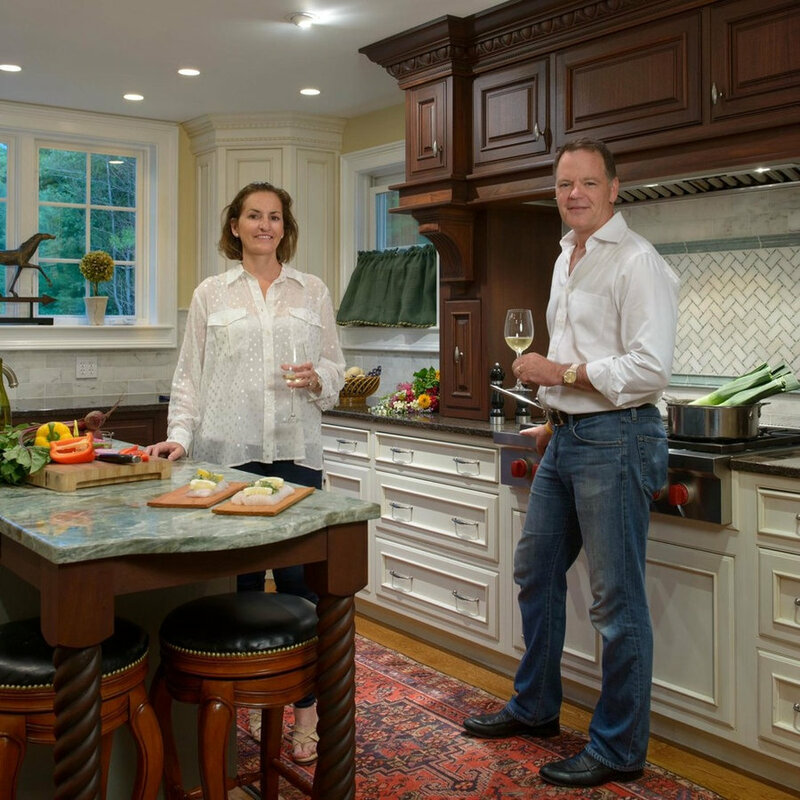 With cabinetry by Plain & Fancy Custom Cabinetry in three finishes a variety of styles are blended. 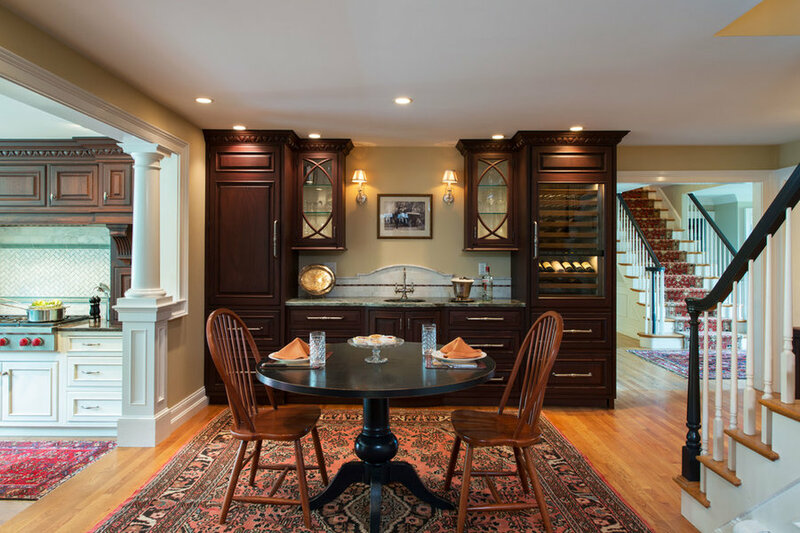 The hearth mantle style hood, sink base and turnings along with the wine bar area are all in rich mahogany. 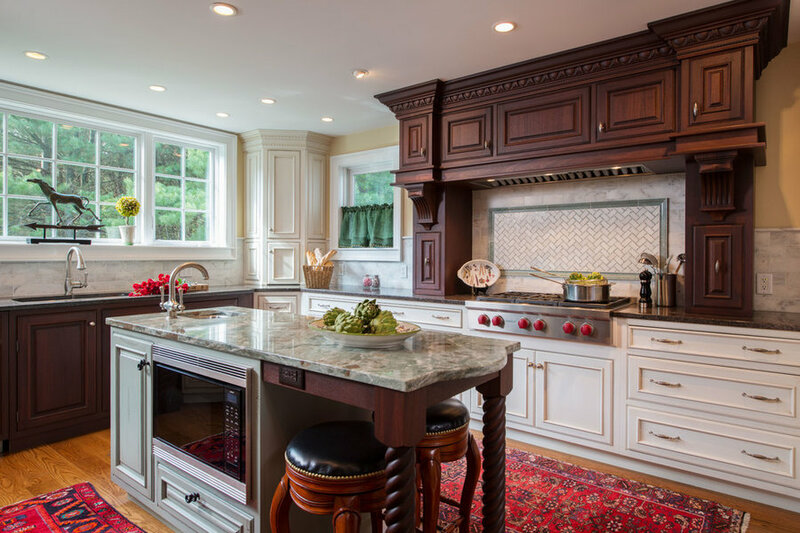 The main part of the kitchen is maple with a "Latte" finish and the island has a thick brush/crackle painted finish evoking an aged appearance. 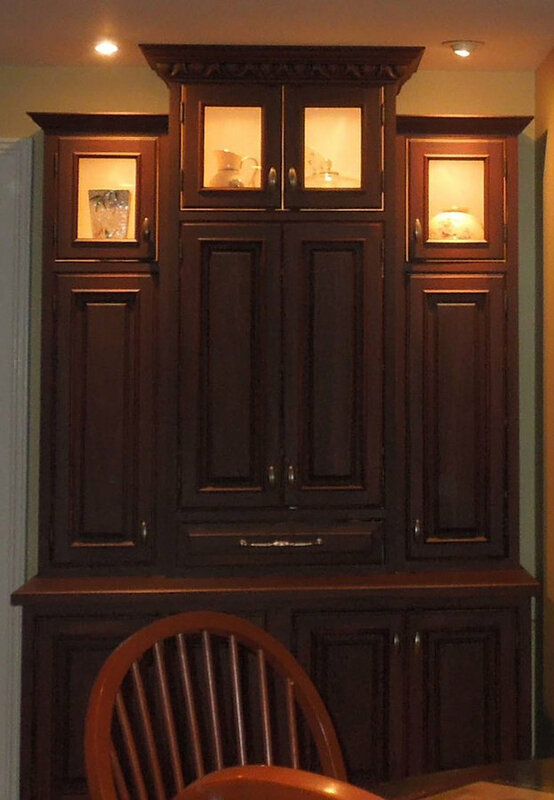 Dramatic egg and dart moulding and glass doors provide an elegant backdrop for the casual dining near the stairs.